This entry was posted in Faith, Poetry, Verse of the Day and tagged Bible Verse, Christ, Faith, Freedom, God, Grace, Hope, Inspiration, Jesus, Love, Mercy, Peace, Poetry, Praise, Pray, Prayer, Psalm 16:8 on July 18, 2016 by waynemali. This entry was posted in Faith, Poetry, Verse of the Day and tagged Bible Verse, Christ, Faith, Freedom, God, Hope, Inspiration, Jesus, Poetry, Psalm 16:8 on April 28, 2015 by waynemali. 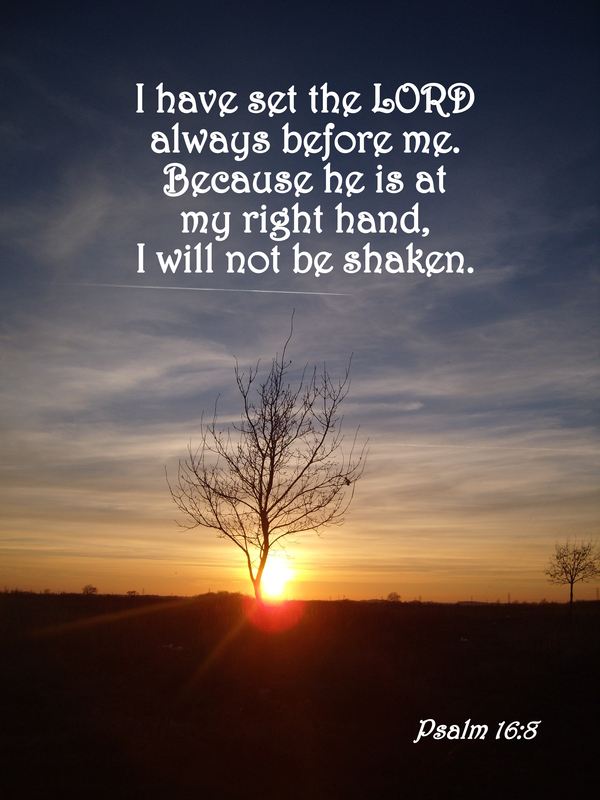 Today I make a re-declaration, that I will set the Lord before me always. No more worries, no more pain, every doubt erased. This entry was posted in Faith, Verse of the Day and tagged Awakening, Bible Verse, Brady Toops, Christ, Faith, Freedom, God, Hope, Inspiration, Jesus, Psalm 16:8, Swing Low Sweet Chariot, Today I on July 20, 2014 by waynemali.